Taylor appears in From the Top’s new series Where Music Lives with Kevin Olusola. Tune in to see his episode on May 2, 2019. Check it out! 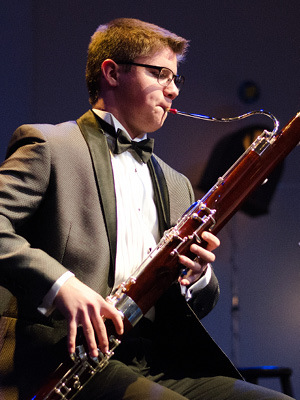 Taylor Akin (bassoon), 17, appeared on Show 363 on November 17, 2018 in Storrs, Connecticut. Taylor Akin attends Washington High School in Washington, Oklahoma. He studies bassoon with Professor Rod Ackmann at the University of Oklahoma. He has attended programs at Jacob’s School of Music at Indiana University, Tanglewood Institute at Boston University, the Bocal Majority Advanced Double Reed Institute at Pepperdine University, and performed at Carnegie Hall. 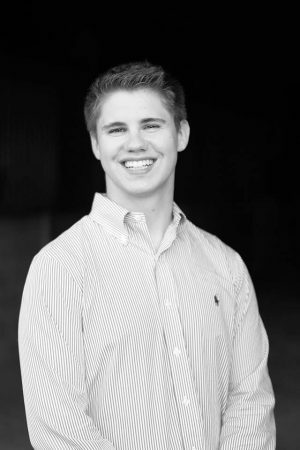 He has been Principal Bassoonist of the OkMEA All-State Orchestra for two years and is currently the Principal Bassoonist for the Oklahoma Youth Orchestra. He has won the Midwest Double Reed Society Young Artist Competition, OMTA Music Competition, and several concerto competitions. One of his most memorable experiences was performing at the Scottish Rite Temple for the Oklahoma State superintendent at the Arts Excellence Banquet. Outside of music, Taylor likes to race half-scale dragsters and restore classic cars rescued from junkyards with his father. He is very involved with his church, tutors other kids in math, and is currently teaching the next generation of upcoming bassoonists at his school. Taylor is a Jack Kent Cooke Young Artist.